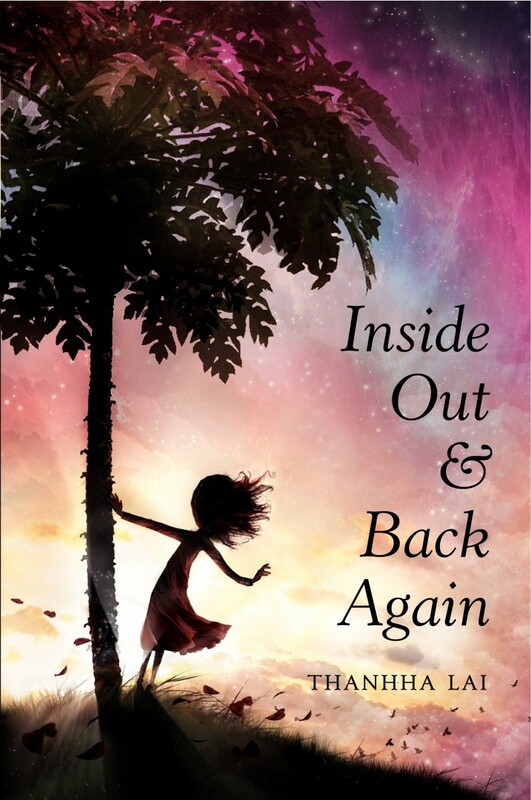 While the process may have begun with controversy and confusion, it ended in triumph for Thanhha Lai, when her first novel, Inside Out & Back Again (HarperCollins) was awarded the 2011 National Book Award for Young People’s Literature. 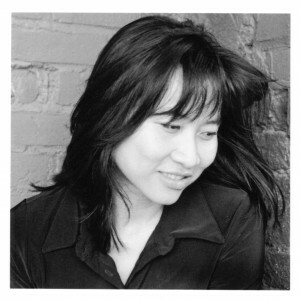 Asked in an interview to describe her book in one sentence, Lai once replied, “For ten-year old Ha, life in Vietnam during the war was chaotic yet fun; horror only happened when she and her family resettled in Alabama.” Of course the book is much more than that. It is a novel told in verse, 121 delicately shaded poems that trace a year in the life of Ha from Tet to Tet. On the family’s eventual resettlement in Alabama and the difficulties of adapting to a new life, learning a new language and facing racial and religious prejudice, “No one would believe me/but at times/I would choose/wartime in Saigon/over/peacetime in Alabama.” It is an extraordinary performance, as Lai deftly bridges the gap between memoir and fiction. I recently had the opportunity to talk with the author by phone, where we discussed the writing of the novel, the line between fact and fiction, and the meaning of papaya. PP: Have you recovered from the NBA yet? Has your life gotten back to normal? Lai: Right after the NBA, I had to attend a conference, followed by cleaning day and then, back to working on my next novel. I haven’t gotten the voice right yet, but it will be about a twelve year old, Vietnamese-American spoiled rich girl, forced back to Vietnam for a summer. I’ve read about the long period it took for you to find a form in which to bring your experiences to life. I spent fifteen years working on an adult novel with the same narrative about a family, but there was no contained framework. I was spanning 4,000 years of Vietnamese history, and like most first time writers, every conceivable metaphor and simile was shoved in there, and after awhile, the book didn’t go anywhere. And after it’s fifteenth rejection, I went back and read it and thought it was hilariously bad. But I’d learned my lesson. Before I sit down, I need a beginning and middle and end I can handle. The framework I gave the book helped me focus. Tet to Tet. I discovered I’m in trouble when I do third person omniscient — that’s when my sentences get too long — too Marquezian. So what I did was I thought it out in Vietnamese which is full of images: I thought in Vietnamese then translated it into the cadence and rhythm of Vietnamese. Did you plan on writing the book in verse? Or did it come out of the writing itself? I’m not a poet, even though Nikki Grimes kept telling me I’m a poet. But inside the mind of the ten year old girl are images, and those images work as poetic lines. I knew it didn’t work in first person, and I knew that I couldn’t work in prose because it wouldn’t let me get to the immediacy of her emotions. Poems let you leave a lot of blank spaces. The book was always going to be a narrative, with a beginning, middle and an end. Of course, when I was done, I thought I’d done something revolutionary, but then I learned there was a whole long line of novels done in verse, and that they were now thought to be very much out of fashion. Given the fact that the story is told in verse, I was wondering whether there were difficulties in finding a publisher. My agent signed it up right away. But when she got it she said that because it’s in verse it’s going to be a hard sell. I can do it, she said, but I just want you to be ready. A friend of mine had already given the manuscript to Tara Weikum at Harper, who, after a push from my agent said, “that’s not really my field, but I’ll accept it and pass it on to another agent.” But after reading it again, she decided to hold on to it herself. 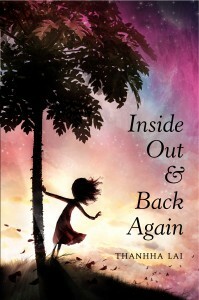 Inside Out & Back Again is, obviously, based on your own life, yet it’s a novel. What changes did you make? And did you find it a challenge or freeing to fictionalize your own life? There were some characters added, I took my six brothers and cut them down to three — it complicated the story too much otherwise. But the facts of the story are accurate, and the timeline of events, from Tet to Tet is accurate. The only thing I streamlined was this: the change from horror to hope took a full decade. It took that long for me to be able to say, you know what, I’m OK. I was in college, I remember one night listening to the news, and they said “we” did this, before that had never pertained to me, but I just remember it was a moment when I felt it, I get it. I’m part of the we. But I found it liberating to do fiction — I’m incapable of telling a true story. I elaborate, I embellish everything. I think if I had tried to make it a memoir I’d have gotten into too much trouble with my family — it would just cause headaches. Papaya are a recurring theme in the book, from the papaya tree in your backyard in Saigon to the gift of dried papaya you received near the book’s end. Does papaya still hold the same importance to you? Interesting story. I was flipping through a New Yorker that had a papaya tree in an advertisement — it was my childhood. I cut it out and taped it on my desk. It’s weird how the brain works — I was still working on the 15 year failure, but papaya images started coming through. I liked the image — so you take the image and run with it. Once you lose language, you’re basically lost. I was very verbal in Vietnam. I was a little brat. I felt centered — the war was in the distance, but everybody heard the bombs. A child can live through anything as long as she’s not the odd person out. It was only in Alabama that I stood out — and that’s why it remains the horror for me. Added to that, I lost my language. I lost my way. I had a mom and eight brothers and sisters and still I was alone. We were all struggling and scrambling, unable to yell back at bullies. What’s amazing about children and people in general is how they’re able to adjust. Looking at my daughter, I can’t imagine doing what my mom did. You do when there’s no other choice. You just do it. Trust that we’d balance. You made it, you didn’t die, you made it. I did manage to make friends. I did manage to learn English. I did get As in School. I rode my bike. I made it.